College Camp - 16 students, 10 colleges (both secular and Christian), 6 students were part of the Ci 2.0 team, 4 received full camp tuition support from their local church; we plan to promote this model of Ci summer staff attending this camp and seeking financial support from their local church; 92% want to come back; best quote from students: "I loved learning about apologetics with fellow peers! Between going to museums and listening to great speakers, I can now say I'm much more confident about sharing biblical truth with others." 3-Day Day Camp - 34 students; campers and parents asked for 5 days next summer; they loved this format, as did our counselors!! 100% want to come back; for most of the families this was their first visit to the Creation Museum -- we are excited to partner with Answers in Genesis & The Creation Museum. Training Camp - 14 staff; we added a new camper profile that was given to each counselor -- they really benefited from these as it helped them know each camper before their arrival; we add all counselor comments and other camp related info each camper’s profile -- gives us a good basis upon which to provide guidance to parents and campers in regards to career & college choices. 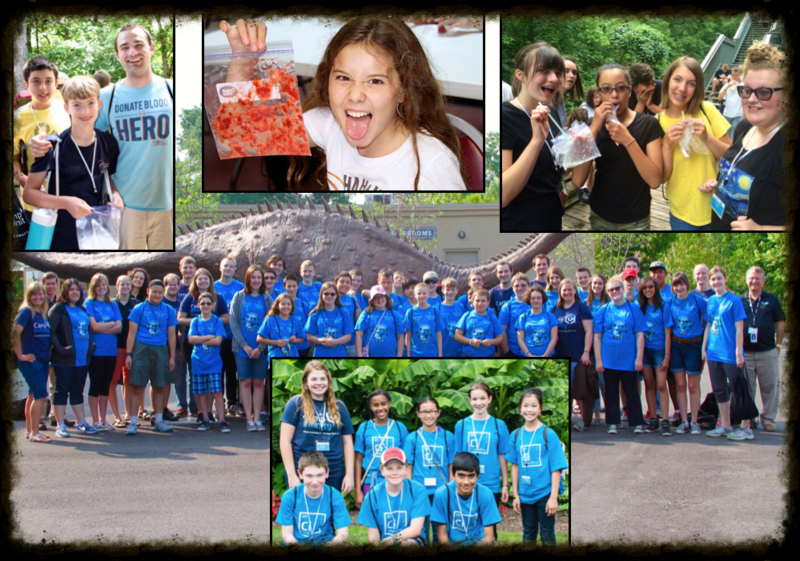 7-Day Overnight Camp - 36 students; 50% returned from Ci 1.0!!! 100% want to come back to Ci 3.0; best quote from the survey: "I just love having all these people pour out truth and knowledge into my life. It has impacted my life on so many levels, and I have for sure grown SOOO much this week. I can't wait to see how the Lord is going to use this in my life and in others.” My biggest fear was that returning campers would be bored - NOT SO, praise the Lord from a great team who organized another amazing program that touches both the heads and hearts of academically gifted students! 5-Day Overnight Camp - 25 students; 96% stayed the entire week; Best quote from the week "Camp helped me learn how to protect my faith and has inspired me to look at my life and God in a different light. We don't always understand why, but we should be grateful we’re even here.” This was our first camp @ Cedarville. The facilities were excellent and well-suited for a STEM camp. Returning campers strongly indicated they loved this Ci 2.0 STEM activities as much or more than Ci 1.0. Our Ci 2.0 Team did a fantastic job creating these mind & heart engaging activities. Among the most popular were: egg drop, robotics, zip line, biological code (strawberry code), technological code, & fractals. As I reflect back on Ci 2.0, I'm extremely grateful for the Ci 2.0 Team who planned & executed 27 STEM & apologetics activities. They successfully integrated our 2.0 STEM theme of digital security and the spiritual theme of personal stewardship that inspired students to discover wonder and amazement in everything they see in the world around them and taught them to face each day with an insatiable curiosity that drives them into a closer relationship with the Infinite One who created it all. We define technology as the human activity of using tools to repurpose God's creation for man's benefit. It is a process of discovering things in the Creation which can be combined to invent new tools which help us fight against the immediate effects of the Curse. We like to put before our campers examples of new technologies which vividly demonstrate this. 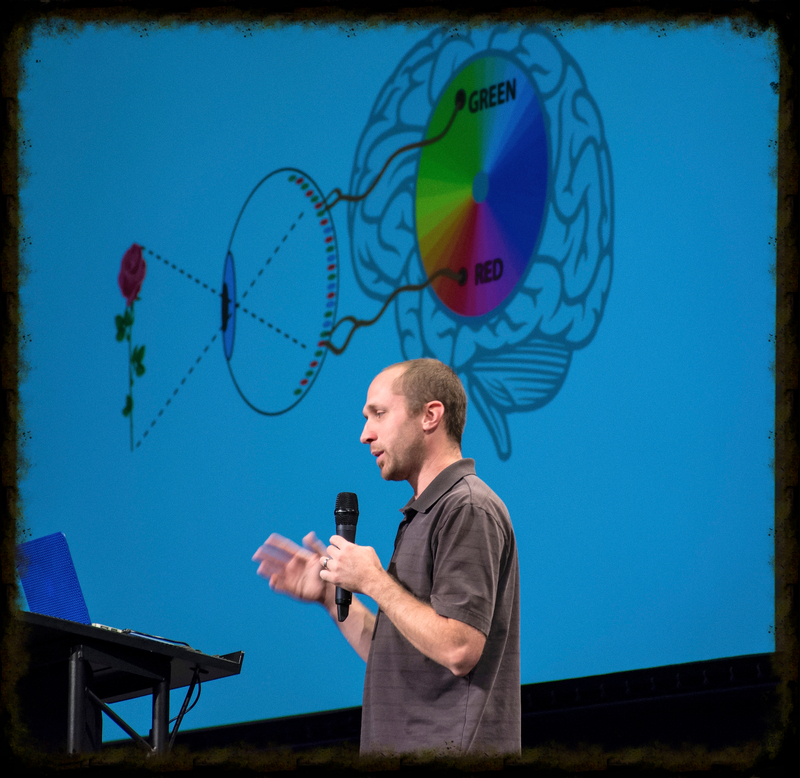 Joel Lieneweber, Ci's creative designer, was one of our guest speakers at Ci 2.0. He recently received a new pair of glasses designed to help those plagued by color blindness. This allows Joel a very practical way in which he is able to enjoy the full color spectrum while being plagued by color blindness, an aspect of life in a fallen world. We want our students to see the grace of God as exhibited in the ability He has given us to discover these types of tools. While driving my son and his best friend to Ci this summer, the thought struck me of a collision that would soon take place. Thankfully, not a collision of cars but a collision of responsibilities I would soon encounter. Being a camper's mom and being AT camp as an employee makes one see Ci in a little different light. Trying hard not to be too mothering was hard but it was a good time for me to view camp from a mother's perspective. Here are a few thoughts that came to my mind. First, I was so thankful to see the Ci team practice the child safety guidelines they had been taught during their safety training days. They learned well that if a camper feels safe that camper is more likely to learn and enjoy! Second, while I was in on most (if not all) of the planning stages of camp, it was a joy to see MY camper experience all the different activities that our team had worked so hard to create. Never did he look bored -- he was always engaged and intrigued! Last, while my son has been through the Creation Museum many times in his life, the CSI adventure was a great experience for him to answer thought-provoking questions. It was amazing to hear what all he had learned and what beliefs seemed to become his own. So, while the team did catch me taking a few pictures here and there, the week of camp was a great experience as I was allowed to let two areas of my world collide and see what a great investment Ci was for my son! BLESSING: #1 spot on Google for the search phrase "STEM camp" !!!!! July 18: Ci 2.0 Team gathering after an amazing 5 weeks of summer camps!! Thanking the Lord for the privilege to minister to the heads and hearts of our campers and committing their growth into His care. To see Ci posts, like us on Facebook. We are pleased to announce that Ci 3.0 overnight camps will be at Potter's Ranch next summer. We've reserved this gorgeous 640 acre horse ranch, which is where we birthed Ci 1.0, for the entire month of July, 2016. Here's an overview of the camp weeks we are planning next summer, final schedule will be released on our website by September 15. If you would like to help us reach our scholarship goal of 130, please donate to our Scholarship Donation Fund which partners with families of academically gifted students who cannot afford the full cost of a STEM camp, you can donate securely using PayPal. Designate your donation to [email protected] which is registered with PayPal or use this secure donation link. If you would prefer to write a check, make it out to "Camp Infinity" and mail to 122 Montverde Drive, Greenville, SC 29609. Your entire donation will be used to help academically gifted and financially needy students attend Ci 3.0. Camp Infinity is a registered 501c3 with the IRS. Thank you for your interest and prayers for Ci. 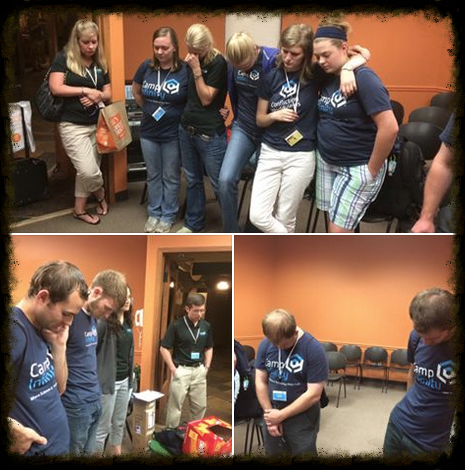 We are thankful that Ci 2.0 was a success and would appreciate your prayers as we prepare to engage hearts and minds with STEM and apologetics during the next three camps.